The aim of this study was to clarify the role of the relative amounts of hemicelluloses and lignin on the enzymatic hydrolysis of pretreated sugarcane bagasse, by using the glucans/lignin ratio and the glucans/xylans ratio as a quick estimation of the enzymes accessibility to cellulose. The samples were selected to contain about 3–20% lignin, 52–90% glucans, and 6–26% xylans (by extraction of hemicelluloses and delignification). The enzyme loads used for saccharification were 10 FPU of cellulases and 20 IU of β-glucosidases per gram of samples. Conversions of glucans to glucose were highly influenced by the chemical composition, varying between 18.1% and 83.4%. 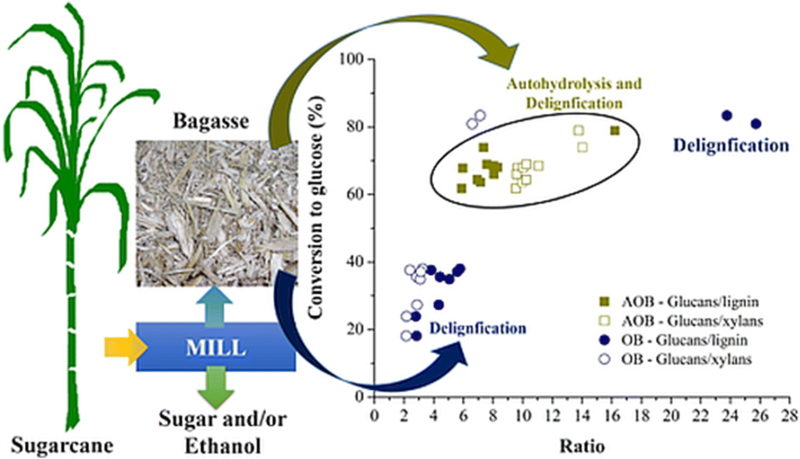 The concentration of lignin and xylans in the pretreated bagasse affects the conversion to glucose. High conversions are achieved when the substrates are highly delignified. Less delignified samples can also lead to high conversion when the percentage of xylans are also decreased. 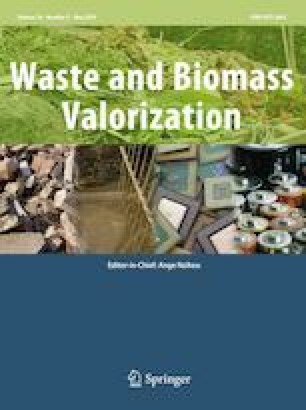 Thus, the removal of both lignin and xylans contributes to an increase in the accessibility of cellulases to cellulose. Fundação de Amparo à Pesquisa do Estado de São Paulo (FAPESP), Conselho Nacional de Desenvolvimento Científico e Tecnológico (CNPq), Consejo Nacional de Investigaciones Científicas y Técnicas (CONICET), and Universidad Nacional de Misiones.